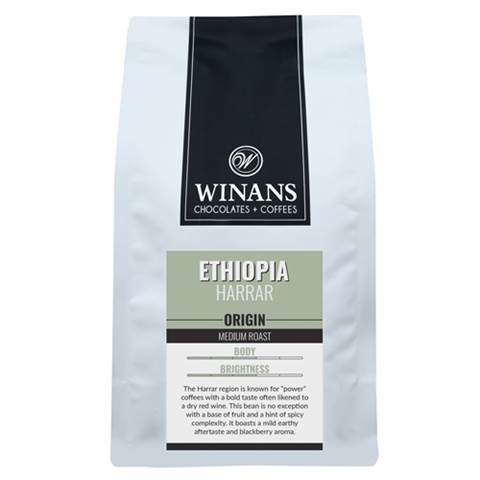 The Harrar region is known for “power” coffees with a bold taste often likened to a dry red wine. This bean is no exception with a base of fruit and a hint of spicy complexity. It boasts a mild earthy aftertaste and blackberry aroma.